Audio books have become a new fashion in the last period and this shows us that literature and technology can make a good team and a lot of people show their enthusiasm regarding this type of literature. Although some people think that those who use audio books are “cheating”, in the end everyone gets the same amount of information. The main purpose of reading is to get the message to the reader and in my opinion, it does not matter whether this message is taken from a printed or audio support. We will introduce you the top audio books in 2018 with the hope that this top will help you make the right decision. 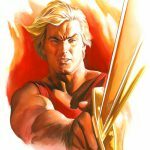 The psychologist Jordan B. Peterson tries to search for solutions and to find answers to some existential questions in a unique and special way and he talks about discipline, self-control, perseverance and other topics of public interest. The main subject of the book is based on the observance of ethical principles, but also refers to religion, literature, sciences and other domains. Because the author tries to come up with solutions and to give advice using an unusual style, the readers received the book in a positive way, placing “12 Rules for Life: An Antidote to Chaos” on a good position in 2018. This book was born from the author’s desire to select the most important things in life and it is written in order to be accessible to as many people as possible. This book is divided in two parts and each title deals with a specific rule that we must take into consideration and which is explained in detail. Jordan B. Peterson tries to talk about happiness, to define it and show how it is perceived by different people. 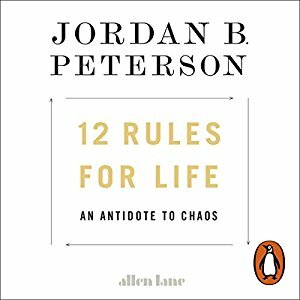 “12 Rules for Life: An Antidote to Chaos” points out that people must adhere to ethical principles, and to be able to do so, they must cease to think only of themselves. If you want to start listening to “12 Rules of Life” immediately, go ahead and pick up the audio book over on Amazon.co.uk! One of the main characters of this book is Billy, a young man with mental problems, who states that in his childhood he witnessed a murder and goes to Cormoran Strike’s office to elucidate this mystery. In his attempt to find out more details in order to help him in his investigation, Strike begins to ask Billy several questions, but the boy runs from his office. Wanting to find out if the boy’s statements are true, Strike and his partner Robin Ellacott start the investigation that leads them to the outskirts of London. Another interesting detail for readers is that Robert Galbraith is a pseudonym for J.K. Rowling. 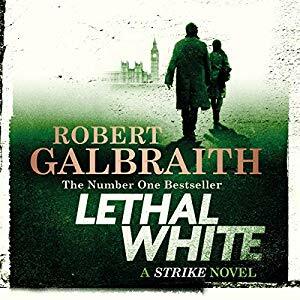 “Lethal White” is the type of book that requires patience because in the first half of the book, the author tries to put all things and clues together. Although the first part of this book does not keep readers in suspense, in the second half the mysteries are growing and the action begins to have unexpected directions. The author’s experience is visible in this novel because the details are carefully chosen, the action develops gradually and the characters act according to the role they play in different situations. If you like mysteries and investigations, Lethal White is a book to you should read. Here is a link to the “Lethal White” audio book on Amazon.co.uk that you can order right now! Barkley Cove is the location that concentrates on the events of this book and the central character is Kya Clark, who is suspected of killing Chase Andrews. Although the locals consider her a murderer, she is a sensitive and intelligent girl, who aspires to attention and love, even though she had a solitary life in the marsh. The curiosity of two young locals about Kya makes her opening her soul, but the unexpected strikes. The action of the book is so exciting and captivating that readers can simply detach themselves from their everyday lives, trying to find out more about the mystery which is surrounding the story. The book is divided into several chapters that alternately depict the early life of the main character Kya and the investigation of the terrible crime. A dramatic description is the part where Kya is abandoned by her mother who leaves her in the care of her father who had alcohol problems and the only remaining brother, Jodie. After Jodie leaves, Kya realizes she’s the only one remained with her father who used to drink regularly and had behavioral problems. Her only way to avoid that tense environment was to spend as much time in nature because she knew if her father did not see her, he could not do any harm to her. 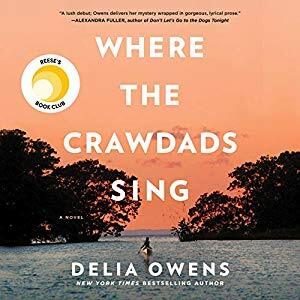 Delia Owens manages to write a captivating novel with many descriptive parts and an unexpected ending. If you’re interested in experiencing this audio book, be sure to check it out over on Amazon.co.uk. Two cousins, Rachel and Masha Morgenstern, are the central characters of this book and they are portrayed in their attempt to get to New York, after boarding SS Manhattan liner, trying to avoid the concentration camps where the rest of their family is detained. Although America is an alternative and seems to be the place to start a new life, they have to cope with a risky crossing of the Atlantic. On this liner are different people, each with a special history and who want to escape from the past and to start a fresh life. The detail that a German U-boat is on the tracks of the Liner Manhattan creates a tension and makes you wonder if the people on board will see their dream come true. The novel is well written, full of emotion, romantic, and the author succeeds in satisfying different public’s tastes because everybody wants to find out if the passengers will manage to end their journey. Another particularity of the novel is that the destiny of the characters is put to the test even though they manage to get on board, a fact that can symbolize the particularity of a life which puts us to a lot of quests. 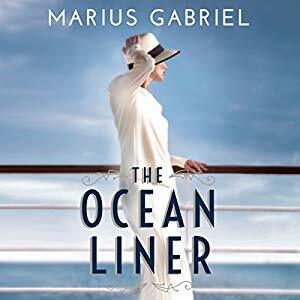 Ordering “The Ocean Liner” from Amazon.co.uk is cheap and simple, so go ahead and make your order now! 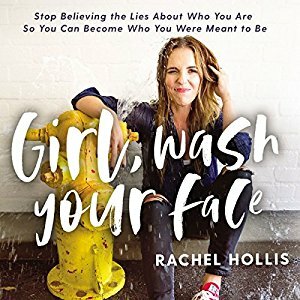 Rachel Hollis, the owner of the TheChicSite.com website tries through this book to make her readers having a better life and not to believe anymore the lies they are exposed to. As an author, Hollis is special because she appeals to humor, irony and various unusual tips and her fans appreciate her for these qualities. The book has several chapters which describe a lie that at one point made her feel unsafe and believe her role has no importance to others. “Girl, Wash Your Face” is trying to help women quit the mind-sets imposed by nowadays society and make them behave naturally. The goal is to help them escape from this situation and be happier. Through the content of her book, Hollis becomes the women’s exponent and tries to help them getting out of the comfort zone and head for true happiness. With irony, but with perfect lucidity, Rachel Hollis discusses about all the things that in the past made her feel unsafe and insecure and comes with different solutions to those issues. Another goal of the book is to persuade readers not to pay too much attention to external pressures and to make time for themselves and use the priceless time that they have. Start listening to this audio book right now by ordering it from Amazon.co.uk! As you probably realized, the main theme of this book is Donald Trump and his mandate as president of the United States. From his desire to collect real information, Bob Woodward, discussed with hundreds of people from President Trump’s administration and he started to write only after he had a big picture about this topic. Woodward has earned his respect as a journalist due to his professionalism and the accuracy of his publications, becoming one of the largest media exponents. The main topic on which the content of the book is based is Donald Trump’s inappropriate behavior that is inadequate with the position he occupies. 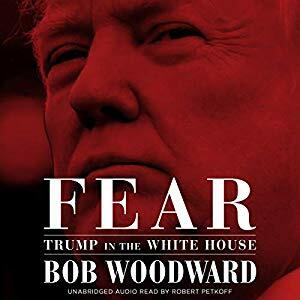 In the opinion of Bod Woodward, his book makes a rough, but precise description of Trump’s administration. From Donald Trump’s point of view, this book is just a failure and an attempt of his opponents to discredit him. Many people have said that “Fear: Trump in the White House” is a book that must be read because it presents some corruption events which have deep roots at the White House. In the book, Trump is seen as a strange person who has behavioral problems, who is very suspicious and all of these, distract him from his duties as president. Because many people are pressed by their daily routine, a way to escape can be represented by the audio books that can become a relaxation method for everyone. Lately, audio books have become a real success and received a positive feedback from many persons, but the audio narrator plays a very important role because, the way he talks, it can transform a book into a real success. Another advantage of the audio books is that people with visual impairments can enjoy the same books as ordinary people, and in this way, the barriers related to certain affections, like dyslexia, are removed.